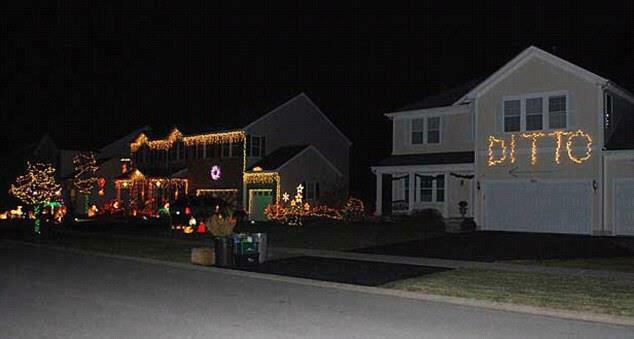 My house would be the one of the right--maybe! But I do love it when folks make a statement. LOL! There are some houses that you can't compete with and one can only compliment them. I see DITTO as one of the latter. Nice touch for on my block...the lights are in full force and as usual I'm the last one to add to this beautifully lit enclave. Ditto! Their energy bill wii be lower!